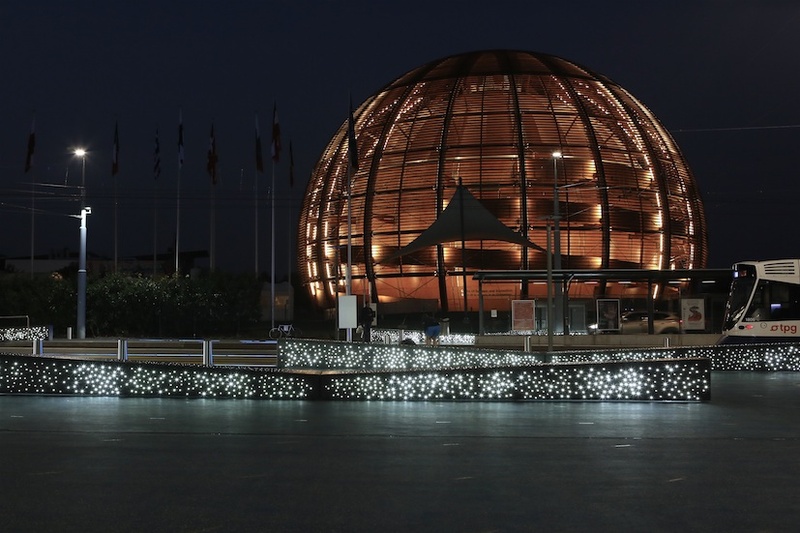 An emblematic reception area for CERN. 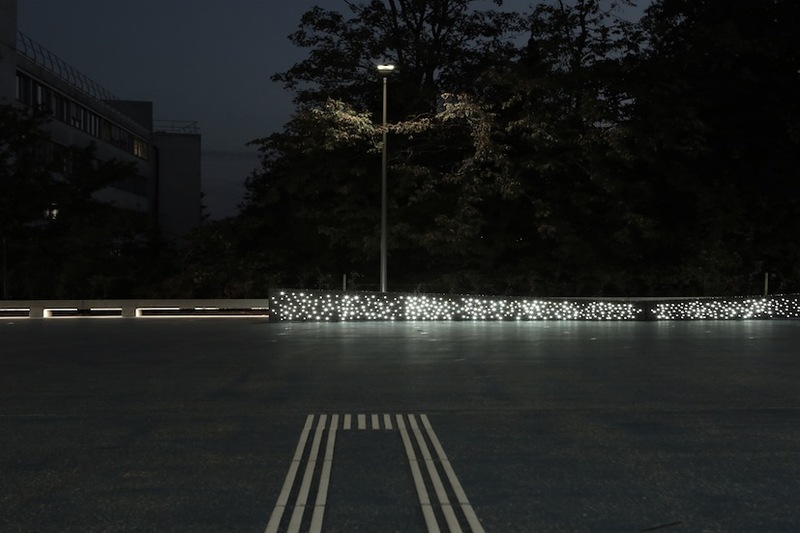 A powerful symbol for the urban area. 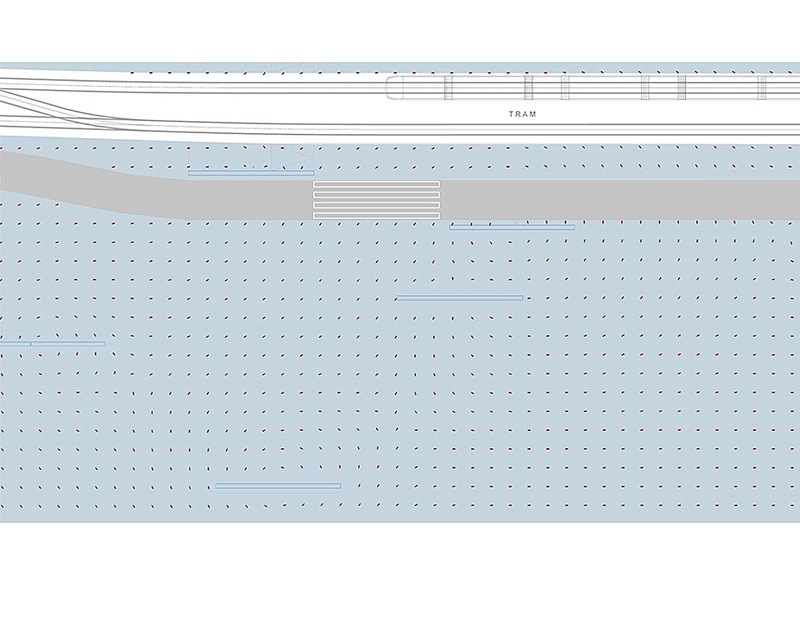 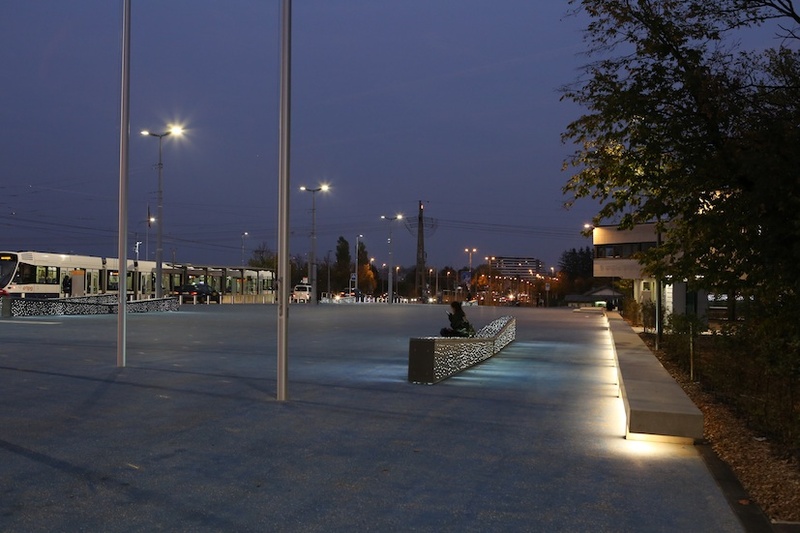 Due to be completed in 2014, it will be the first public space created as part of the cross-border Geneva agglomeration project. 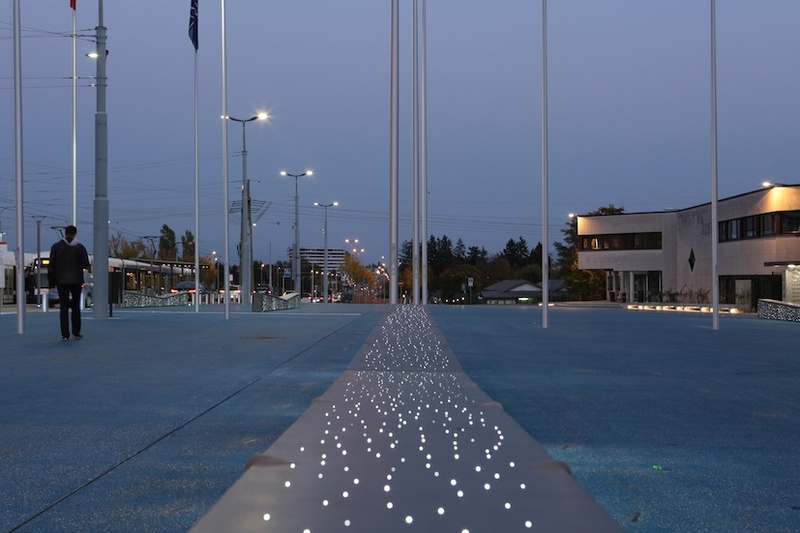 The route de Meyrin is marked out in the landscape by an arrangement of screening trees of varying density which provides sequences of openings on the scenery. 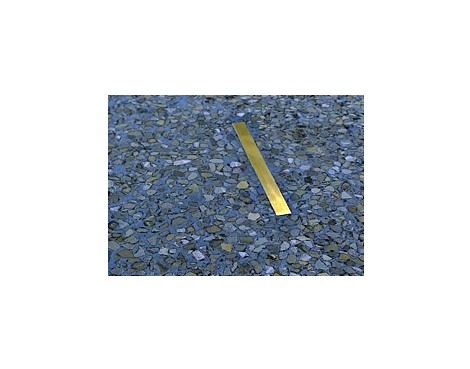 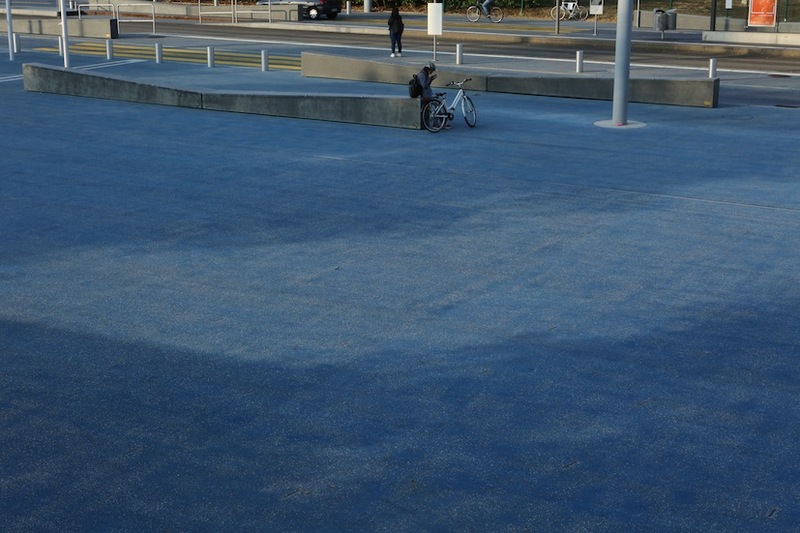 The main entrance of CERN is marked by a “carpet” delimiting a square which extends on both sides of the road. 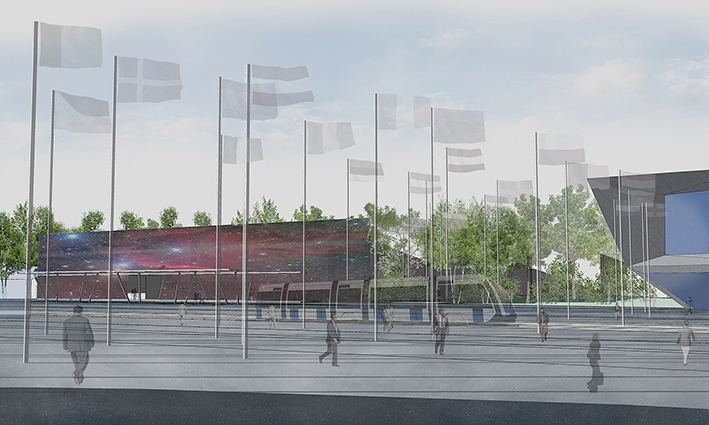 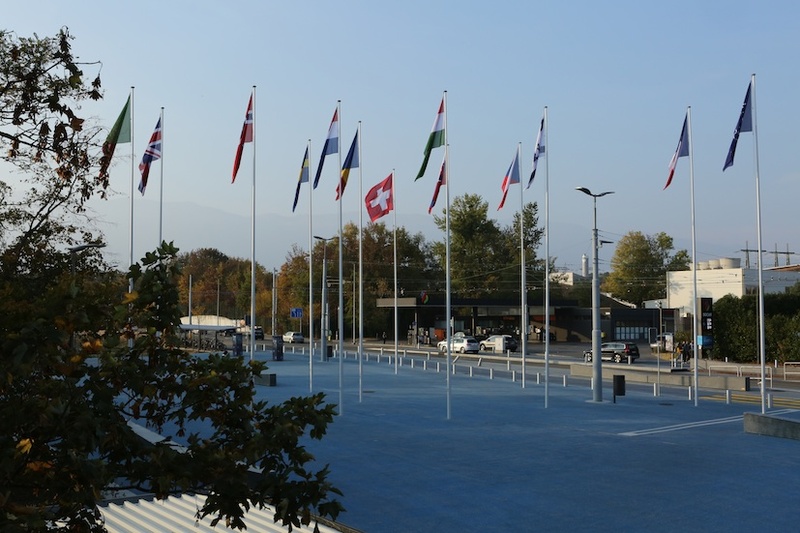 A forest of flagpoles bearing the flags of the nations in the CERN community runs across the square, which creates an open space at pavement height. 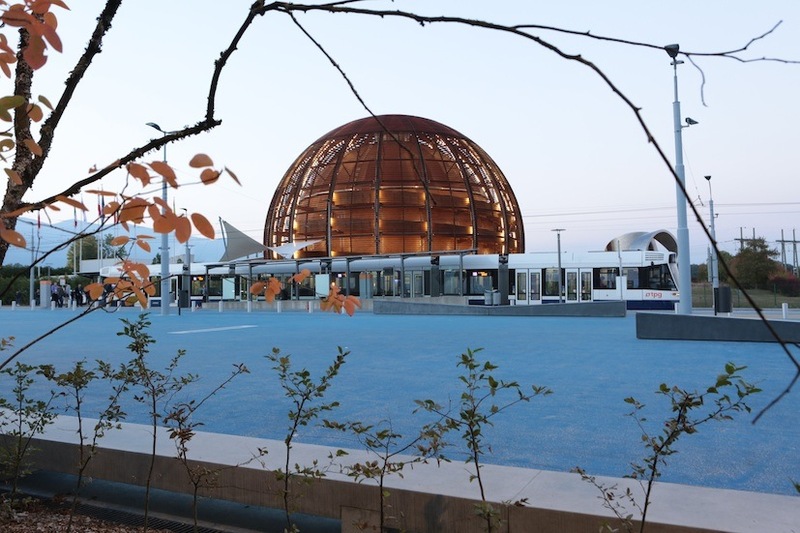 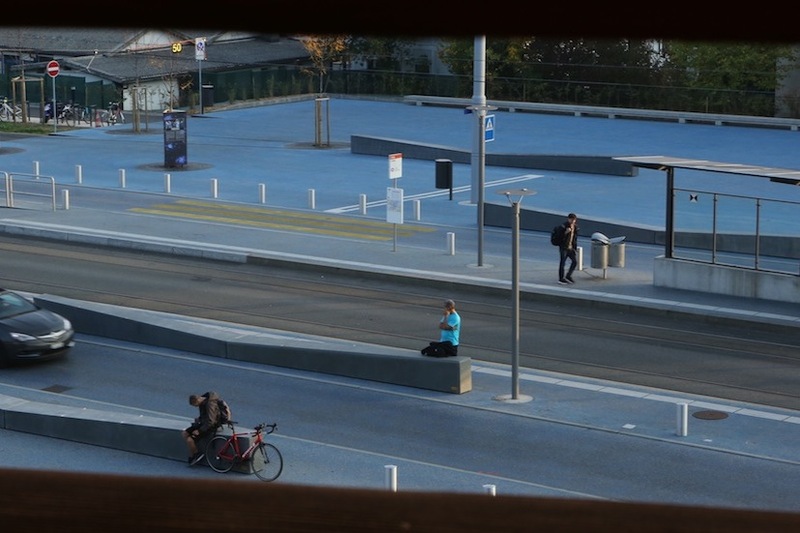 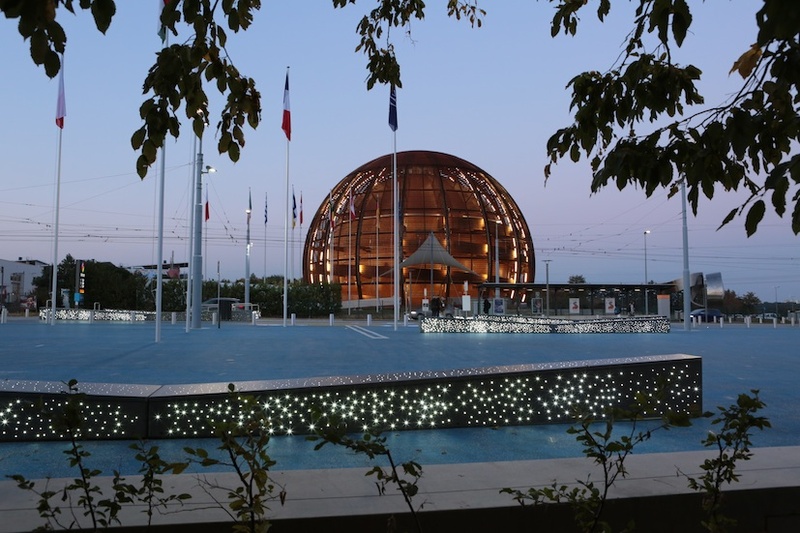 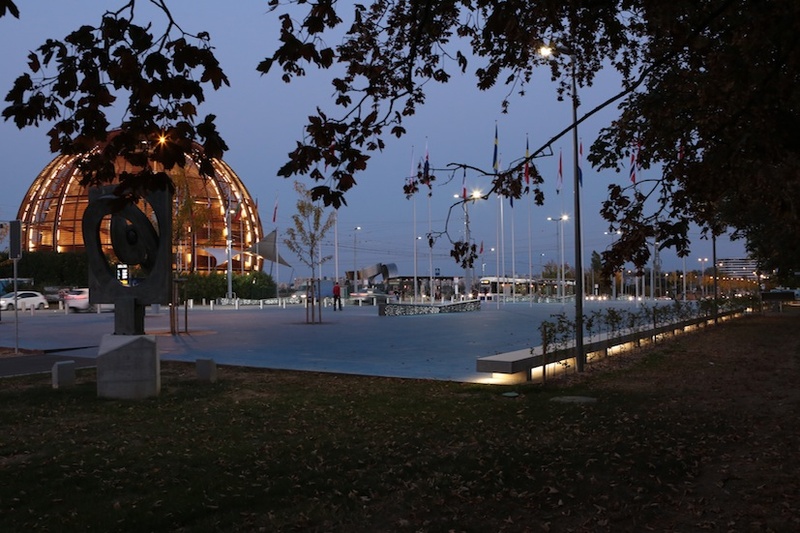 This forms ab esplanade for CERN’s two flagship buildings (the Globe and the future main buildings) and a space showcasing the most prized symbol of the CERN community, its international nature.
. a more accessible tram service for users and visitors. 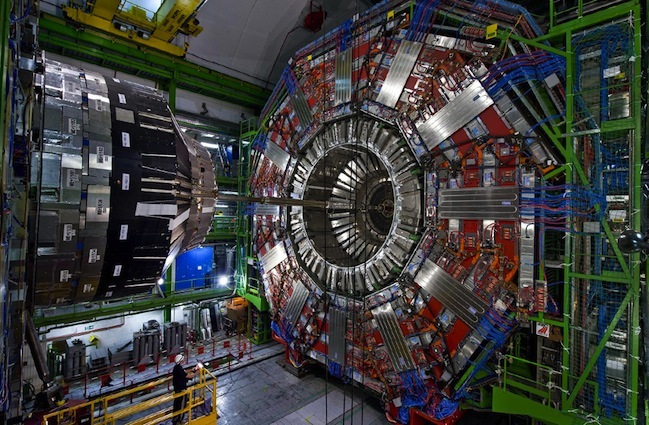 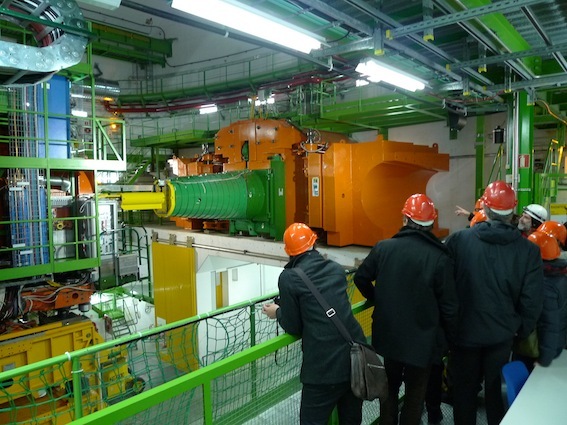 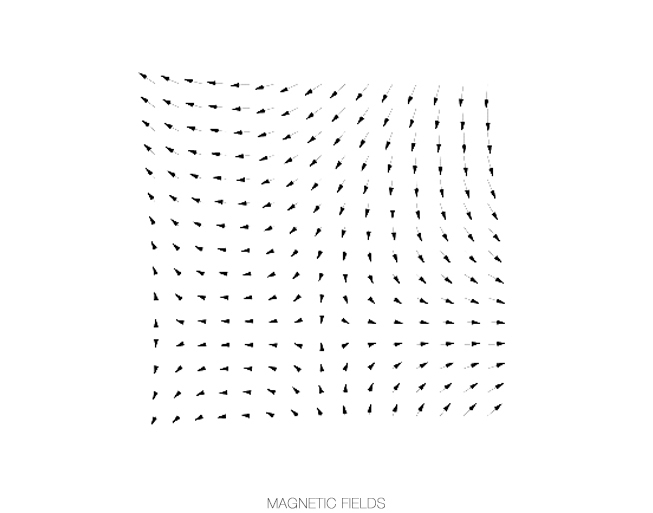 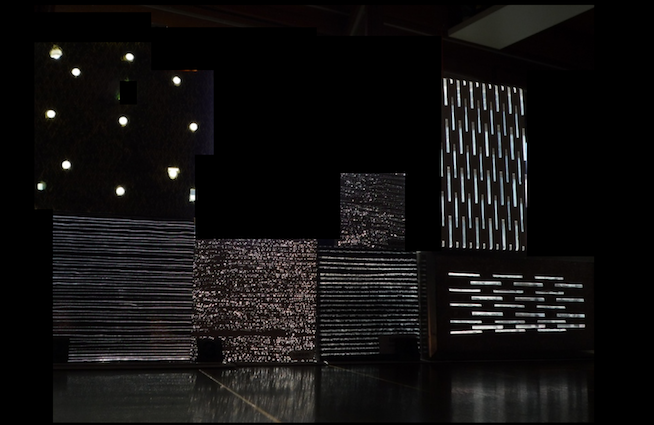 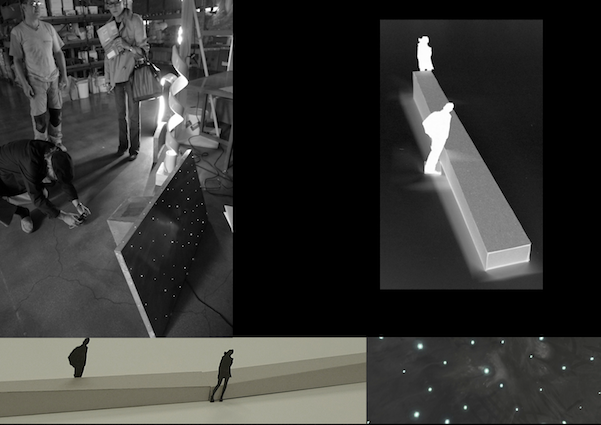 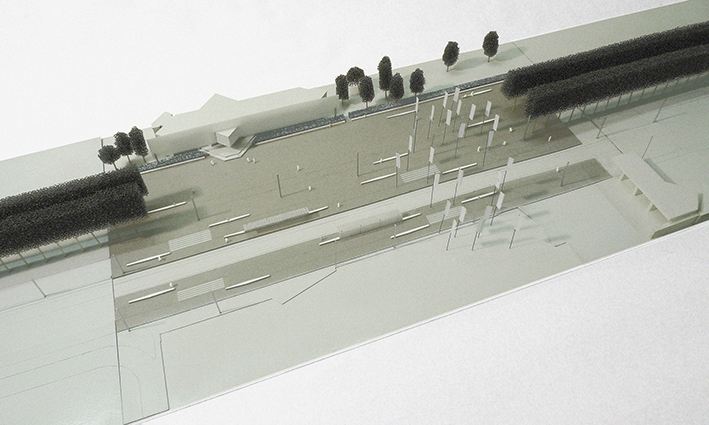 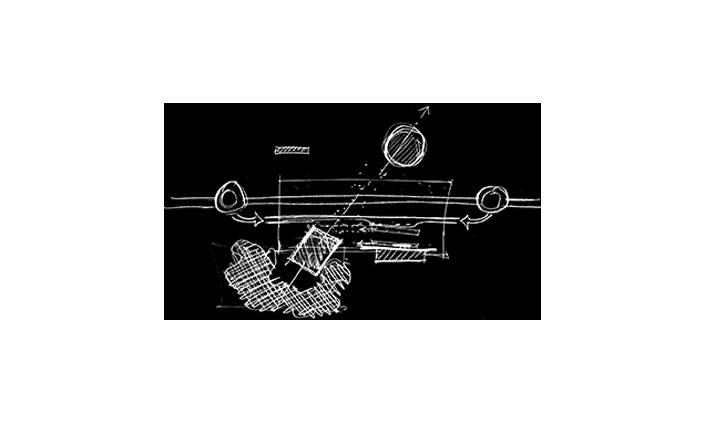 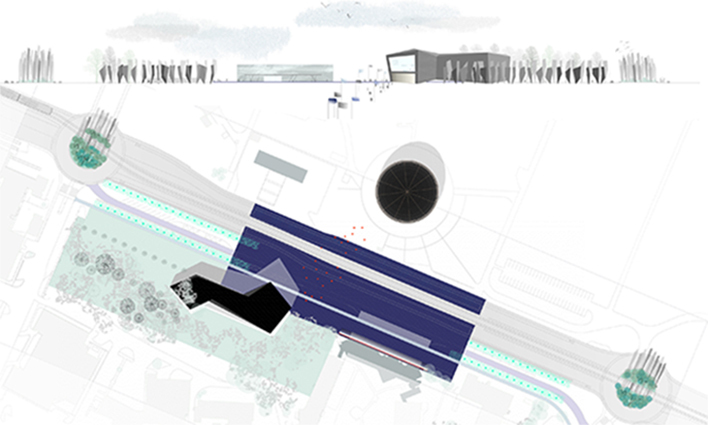 The project brings out the international, scientific and contemporary spirit of CERN.